The application deadline for the April 2019 intake of the SP Jain Executive MBA (EMBA) is April 22, 2019. If you are interested to take the next big step in your career, we encourage you to take our EMBA Scholarship Test and compete for exclusive scholarships. You will also get the opportunity to fast-track your application by undergoing an interview the same day. Our Admissions Team will assist you with the admission process and answer all your queries in person. You will get to learn more about our cutting-edge curriculum, experienced faculty, successful alumni, and how the program can help you develop the skills needed to progress rapidly in your career. Progress within your current organisation. Enhance your leadership skills. Become an entrepreneur or consider a career change - whever you're headed, our Executive MBA will help you get there. The in-depth knowledge imparted through the core concepts, electives, simulations and projects are designed to set you up for a lifetime of decision-making and leadership. "What I find really unique and exciting about SP Jain's Executive MBA is the opportunity to refine and further my knowledge of "Operations", while also developing other key skills and attributes needed to take my career to the next level. The structure, content and delivery of the course provides the perfect opportunity to apply my lessons to the challenges I face at work every day and add immediate value to my work." 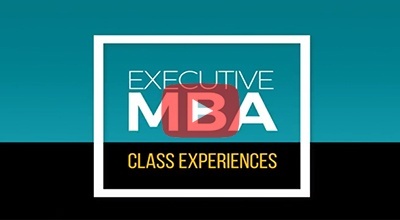 "SP Jain's EMBA is rigorous, challenging and fun. I was exposed to global perspectives, because of the Professors who bring in a wealth of knowledge and experience to the classroom. I find the lessons to be truly world-class and very relevant to my future as a global business leader." "The SP Jain EMBA is intense, challenging and most of all, rewarding. In just a short duration, I was able to hone my skills and leverage my knowledge and experience to develop a more effective style of leadership and management. I strongly feel that the lessons I learnt in the program have encouraged me to think critically and look at everyday business issues from a different perspective." SP Jain School of Global Management (SP Jain) is a leading Australian business school known for its disruptive innovation in business education. The School has campuses in the vibrant cities of Dubai, Singapore, Mumbai and Sydney, and is renowned for running its global business programs across these cities. For its flagship Global MBA program, the School has been ranked by reputed international publications such as Forbes, Nielsen, Global Brands, Financial Times and The Economist. Globally-intelligent and culturally agile, the SP Jain student is able to adapt to new situations with ease and finesse and is more than ready to take on the global challenges of the 21st century.